Pies and sausages are great autumnal staples, so what better way to celebrate the season than make a pie with sausages in it. 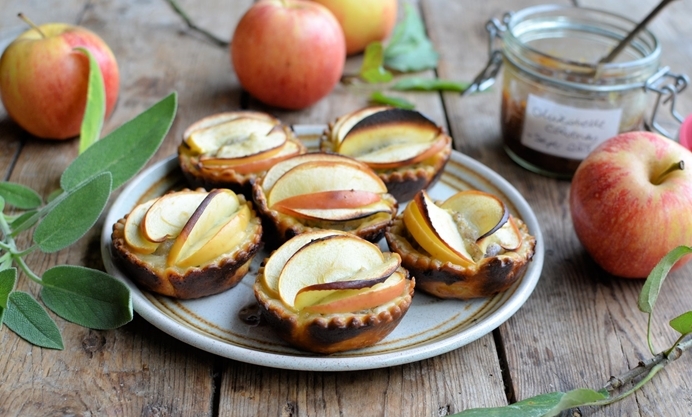 Karen shares a recipe for some cute sausage and apple pies. Good enough for a family mid-week meal or for any festive buffet table. Pies and sausages are just my favourite food, so what better way to celebrate autumn than make a pie with sausages in it, that way I get the best of both worlds, and a sausage pie seems to keep my family happy too. Plus, bangers are a thrifty way to add meat to the family weekly meal plan, and the kids love them too. Although I am a pretty competent pastry maker, I hold my hands up to usually buying puff pastry – although, I do like to make my own for very special occasions and when I have time. So, the recipe I am sharing today is an easy one, as it uses ready-made shop bought puff pastry for ease and to save time. It also uses a pack of pork sausages as the base of the filling with some seasonal fruit, apples. As well as the apples, I like to add another seasonal ingredient, and that’s fresh sage for a lovely herbal flavour. These little, quick and easy, 'frilly' sausage and apple pies are so easy and yet they look quite posh – so, they are good enough for a family mid-week meal or for any festive buffet table. Although I used a muffin tray for the pies, I have also made these pies in a Yorkshire pudding tin, the one that has four indentations and is about two and a half times wider than the diameter of a muffin tin. That way, you get four (or sometimes five or six) larger pies. However, if smaller pies are what you are after, than use the muffin tray size, which makes perfect size 'pie-lets' for a Bonfire Night party when served with baked spuds and hot soup. 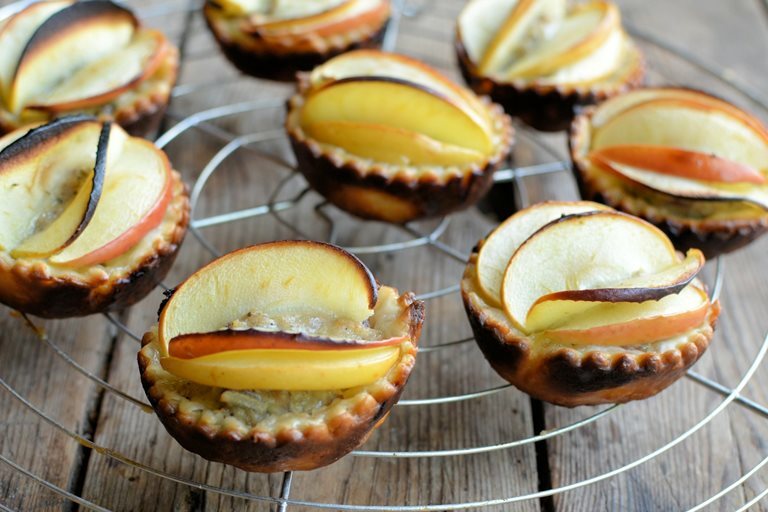 These little pies are also perfect for the freezer and can be frozen when unbaked or when baked; just pop them in the oven from frozen if unbaked and reheat them for 5 minutes if already baked.